Diamond racing wheels for drag radials? 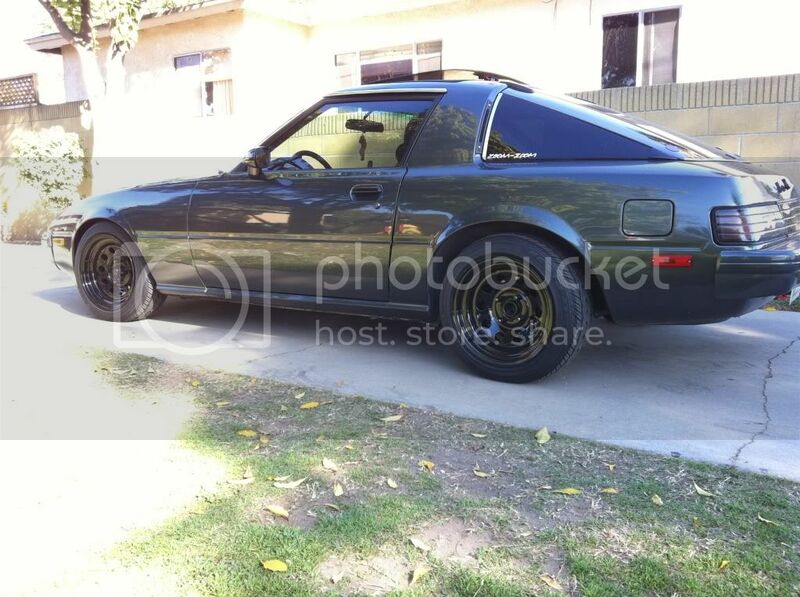 Hey guys I just ordered a pair of Hoosier drag radials in 225 50 15 for my 85 non SE. I'm thinking of mounting these on diamond racing wheels 15x8's. Can someone please tell me what backspacing I would need so that the tires dont go past the rear fenders. BTW fenders are already rolled. j/k. u'll either need to find someone (research) who's bought 15x8's before or do the measuring yourself. btw, even if someone's fitted 15x8 w/ the same offset/backspace, keep in mind that even with the same tire size, different tire manufacturers will have different dimensions and you could still possibly rub. Anybody with a 15x8 5in. Backspace wrapped in 225 50 15? I ran 4.75 backspace on my gsl. 15x8 diamonds with 195/50/15 tires. it didnt rub but the wheel was prety much flush with the fender. I would say go for a 5.25 or 5.5 backspace. heres a pic of mine. TFIDFIS where to mount modules? Quick Reply: Diamond racing wheels for drag radials?